Here are the reasons some dynamics are specialized, others generalized, what that means, and the consequences for all Scientologists as one dynamic interacts with another. For how can anyone go free while their own societies, convinced that Man is evil, meet every dire situation by repressing his dynamics? Thus L. Ron Hubbard concludes with an imperishable message of freedom and immortality. Without any other remedies, here is the single, sustained action whereby Scientologists can create a Golden Age on Earth. It begins with the principal difference between Dianetics and Scientology and ends with the means to create a new era on this planet. 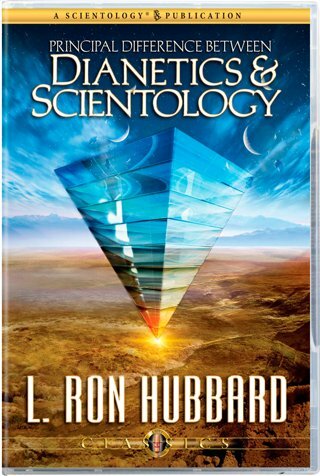 In a lecture wherein L. Ron Hubbard introduces the Eight Dynamics from a wholly new angle, he distinguishes between the dynamics addressed in Dianetics and those which rightfully belong to Scientology. Here are the reasons some dynamics are specialized, others generalized, what that means, and the consequences for all Scientologists as one dynamic interacts with another in the civilization itself. For how can anyone exteriorize and go free while war, crime and poor education imperil the survival of their fellow human beings? How, indeed, can beings attain lasting spiritual freedom when their own societies, convinced that Man is evil, meet every dire situation by repressing his dynamics? Fortunately, Man is not evil; he is basically good. Wholly unknown before Dianetics and Scientology, that single discovery provides a workable means to liberate the dynamics across entire societies—for the first time in history. And thus Mr. Hubbard concludes with an imperishable message of freedom and immortality. Without any other remedies, even without processing, here is the single, sustained action whereby Scientologists can, quite literally, create a Golden Age on Earth.